Lyme disease is a bacterial disease that can result after a bite from a deer tick. Now, a new report shows that Lyme disease is on the rise in all 50 states – even in places where it has not typically been present in the past. CLEVELAND – Lyme disease is a bacterial disease that can result after a bite from a deer tick. Now, a new report shows that Lyme disease is on the rise in all 50 states – even in places where it has not typically been present in the past. 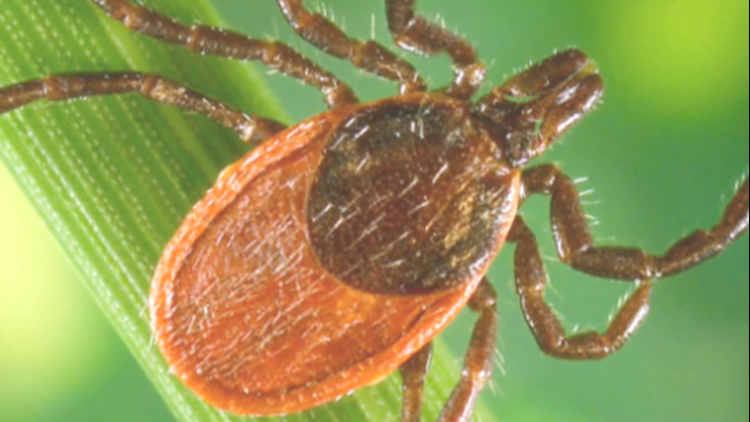 According to Alan Taege, M.D., of Cleveland Clinic, ticks are everywhere, and the first step to protecting ourselves from ticks is insect repellent. Dr. Taege said what we wear outdoors can also impact whether a tick will attach itself. He recommends wearing long clothing – long-sleeve shirts and long pants will make it more difficult for ticks to find the skin. He also suggests tucking long pants into boots to ensure ticks can’t get inside a pant leg. Wearing light-colored clothing also makes it easier to detect a tick on clothes. If a tick is found on clothing, put the clothes in the dryer for 15 minutes, which will kill any ticks attached to them. Dr. Taege recommends checking the entire body for ticks after coming indoors, especially areas that are warm and secluded like under the hair. Pet owners should also check pets for ticks if they’ve been outdoors, because they can bring ticks into the home. Dr. Taege said it’s important not to squeeze a tick when trying to remove it, because this could accidentally force its bacteria into your body and cause an infection. Once a tick has been removed, be on the lookout for fever, achiness or a bulls-eye or target rash, which are all symptoms of Lyme disease. Dr. Taege said finding and removing ticks right away is key to prevent the spread of disease.